Plantation Village is perfectly situated on the southern end of Seven Mile Beach. This 2 bedroom, 2 bathroom unit is positioned in the centre of the complex on the ground floor with a garden view. 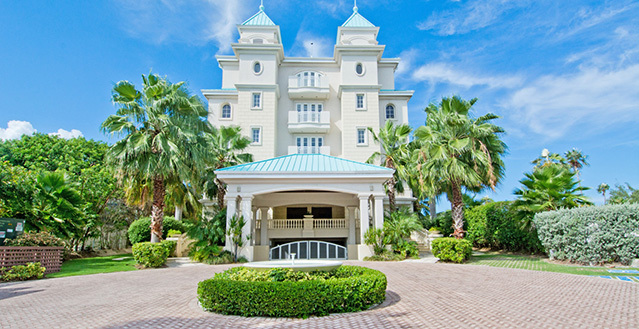 Inside you will find big, sea-view windows where you see the beauty of the Caribbean waters. The open concept kitchen, dining and living area makes for the perfect place to gather after a sun filled day. George Town Villas #101 is an Ocean Front, 2-bedroom unit located on the ground floor of the complex, which allows for convenient water access. A few steps from your door and you’re there! Welcome to Kailypso, a 3-bedroom beachfront villa in Cayman Kai located on Bio Bay. Measuring over 2,800 square feet with spectacular outdoor spaces, cozy interiors, and a secluded beach, this popular villa is the perfect destination for family vacations and group getaways. Tuck into your own private mini-resort at Shellen, a 3-bedroom (plus sleeper sofa), 2-bath villa poised at the edge of the rocky, dramatic Caribbean coastline. Fishbones is located on the Northeast of the island, just about 2 miles west of the Morritt's and Wyndham Reef Resorts. Fishbones is truly an ultra-luxe villa inside and out. Fingertip is directly waterfront at the end of a sandy point in Cayman Kai on the north coast. This one story, extremely private villa is an excellent choice for a honeymoon, anniversary or just a small family vacation. The property ends in a palm-shaded, white sand beach, with lounge chairs and a hammock under the palms. Welcome to Blue Horizon, a newly-built 2,200 square foot oceanfront villa located on Grand Cayman’s north shore. This ultramodern masterpiece balances stunning interiors with captivating ocean views to create an unforgettable vacation experience. This beautiful waterfront home welcomes you to a luxurious private enclave on the Caribbean Sea. Mature palms, ferns and ornamental shrubbery evoke a tropical feel before you step through the front door. From the Tuscan-inspired architecture with terracotta roofs, to the stone staircases and Brazilian hardwood floors, to designer kitchens with Bon Vivant appliances. And the rich materials aren’t the only well-thought out part of Casa Luna home life. Much thought went into the concept and design of these exceptional homes — and it shows! Great Escape is located on a quiet cove in Cayman Kai merely a few steps from the Rum Point Club. This sprawling villa consists of a main house with 3 bedrooms and 2 baths, plus an optional 1 bedroom, 1 bath guest cottage. Welcome to Kai Vista! Located in Rum Point along the north coast, this luxe villa sits elevated on a ridge, offers excellent snorkeling off a private sandy beach, features an oceanfront infinity pool and hot tub, and a beachfront sundeck with plush loungers. Welcome to Gypsy! This beautiful oceanfront villa has been professionally decorated and includes a private pool with elevated views and close proximity to the famous Rum Point Club. 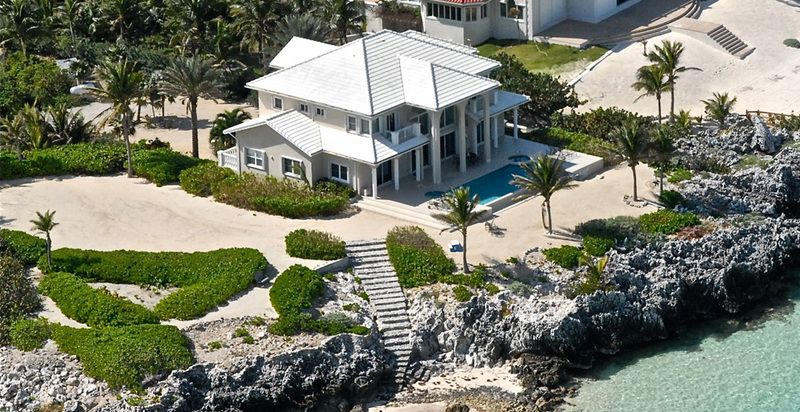 Hilltime is a large single-story beachfront villa located in Rum Point along the north coast of Grand Cayman. The most notable feature of this home—besides the views! With an emphasis on easy elegance, only the finest natural finishes are used throughout including hard wood for the sun decks, polished concrete and stone with mosaic inlays of glass tile and wood for the floors, and simple line trim. A stunning sunset show awaits you at Seabreeze 8. This 4-bedroom, 4.5-bath, 4th floor unit provides a coveted vantage point for that perfect minute when the sun slides into the Caribbean—and many other unforgettable moments. 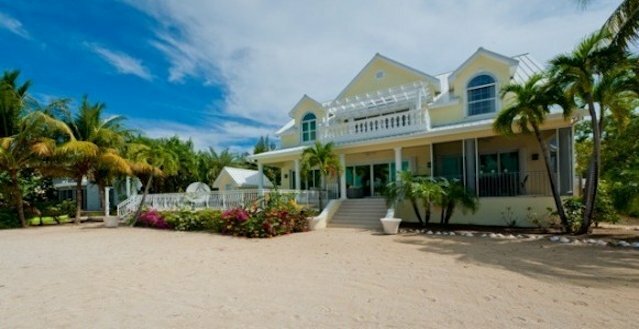 Cayman Sands is an oceanfront villa in Old Man Bay along the north coast. This popular villa is one of only 2-3 homes that offer shore scuba-diving off the famous Cayman Wall. Welcome to White Dahlia. This open-concept, multi-windowed floor-plan offers up to 10 guests an opportunity to spend their vacation free of clutter with smart home technology, water toys and luxurious amenities. Villa Blanca, Cayman Islands, with over 7,000 sq. feet offers the most stunning views from every room, with crystal blue waters and privacy beyond compare. The house sits above a private small beach which can be accessed via path, it’s a truly spectacular way, as many clients would agree, of enjoying the Caribbean and all it has to offer. Ocean Kai was recently built on the oceanfront in Cayman Kai. Spanning over 5,500 sq ft of lofty living space, with tall ceilings and open concept design, Ocean Kai sleeps 10 guests across 5 bedrooms each with private ensuite bath. Cayman Castle is directly oceanfront on a private 2-acre gated and walled estate on an elevated point of land and enjoys a wide white-sand beach with excellent snorkeling and sunbathing. Infinity pool, multi-tiered oceanfront terraces, panoramic roofed balconies and a covered first floor veranda provide guests plenty of room for spreading out, dining or enjoying the views. Welcome to Pease Bay House, a luxurious gated estate only 20 minutes from the airport. This spectacular home sits along a private sandy point of beach facing southwest for exquisite sunsets views. A fantastic place for reunions with friends or family at this secluded, crown-jewel property situated near land’s end beside the calm waters of Cayman Kai. Calypso Blue has been fully renovated and redecorated, but is still at a reasonable cost for a larger family. Oceanfront freshwater pool with a sandy beach area lead to excellent coral reef snorkeling just steps from the back door. Hidden Cove is one of the best values on Grand Cayman. Tucked away in a quiet corner of the exclusive Cayman Kai area, Hidden Cove offers a very large family, or two smaller families, a home away from home at very reasonable rates. Coconut Beach is directly oceanfront in Rum Point on the north coast. This large, one-story family villa with detached 1BR/1BA guest suite offers excellent snorkeling directly behind the oceanfront pool along with a sandy, palm-shaded beach that is perfect for long walks or lazy afternoons with your toes in the sand. Moon Kai is a luxury oceanfront villa estate, located on a stretch of the best beach in Cayman Kai. The main house and optional, beautifully-equipped coachhouse apartment can accommodate a total of 14 people. Point of View is a newly renovated modern contemporary South Sound villa that has been exquisitely designed to take in the surrounding untouched natural beauty. Welcome to Villa Amarone! This spectacular oceanfront home is situated on a sandy beach just minutes from George Town and Seven Mile Beach. Welcome to Great Bluff Estates, a gated oceanfront villa with pool set into the bluffs of Grand Cayman’s Northside. This recently renovated 5-6 bedroom home offers a large family all they could want from excellent snorkeling steps off the backyard to a stunning elevated sundeck and freshwater pool. Introducing Oceanus, where luxury, elegance and seclusion converge. This modern masterpiece has a contemporary design. The ocean-front mansion boasts four levels and includes its own elevator so less mobile loved ones can easily access all of the action. Proudly resting on the Beach Bay bluff over the shimmering azure Caribbean waters. This beautiful “On the Rocks” offers a rare elevation for Grand Cayman, making it a scenic paradise. Its elegantly furnished, sumptuous and spacious rooms in this deluxe villa are a delight to all. This remarkable Cayman Kai villa near Rum Point boasts 9,000 square feet of modern Balinese style luxury—a private compound that feels like your own boutique resort, only steps away from idyllic Starfish Point. Escape to barefoot luxury in this new 7 bedroom, 6 1/2 bath. Crystal Blue is a magnificent, private cliff-edged, gated villa with private pool and stone steps to the water below. Guests will not see another person behind the villa during their stay. On prestigious Seven Mile Beach, there are very few private villas for rent. Most offerings are condominiums, hotels, or not part of the rental pool. Coral Reef, however, is one phenomenal exception. Cayman Castle and Guesthouse sits directly oceanfront on a private 2-acre walled estate. Perched on an elevated point of land, the Cayman Castle grounds include an attached private white sandy beach with excellent snorkeling and sunbathing. Welcome to Villa Mora. This luxurious 7 bedroom 7.5 bath beachfront gated estate sits on over 200 feet of pristine beach with fabulous snorkeling and breathtaking sunset views of tranquil South Sound. Kaia Kamina is a true seaside majesty. This remarkable Cayman Kai villa near Rum Point presents 10,000 square feet of modern West Indies style – a getaway that feels like your own boutique resort. Southern Ayr is a beautiful multi-level beach house with modern interiors and spectacular ocean views throughout. With room for 18 guests, this villa is sure to fit your whole family comfortably. Welcome to Villa Del Mare! This magnificent, Spanish-tiled oceanfront villa is an architectural masterpiece located within a mile of the famous Rum Point Club. Located only 1 mile from the famous Rum Point Club, Fischer's Reef is a perfectly designed 8 bedroom oceanfront villa ideal for large families, or group getaways. Featuring multiple living and sleeping areas. Welcome to Coconut Walk, a luxuriously gated oceanfront estate directly on Seven Mile Beach with private pool, guest services, and water-sports equipment. Sea Orchard Retreat offers individuals, couples, families and small groups the opportunity to combine a relaxing Caribbean vacation with watersports, eco-excursions, and wellness treatments from private vendors for massage, yoga and more! The Cayman Islands can be summated in two ways, by it’s lovely and amazing beaches and entertainment and as a Leader in the Financial Banking System, both of which they take very seriously. You would think these 3 Caribbean Islands that make up the Cayman Islands would need the tourism dollars, but really they rely heavily on their financial infrastructure and have for some time. Yet people flock there year after year for the sandy white beaches and the lovely amenities one can find in the Caymans. As well the islands hold you captive with their rich history of Pirates and dubious beginnings. It’s a wonder they are not called the Pirate Islands as some of their ancestors most certainly were Pirates of the Caribbean. However fun and adventurous you may be, this is one location you won’t want to escape from. It’s a wonderful mix of relaxation and superb living. Owen Roberts International Airport is the Largest Airport in the Caymans and has easy Flights from Miami or many other US and international Hubs. Andy’s Car Rental is one of the local Car Rental Companies and easy to find at the airport. Just Fish’n in the Cayman Islands is a Great Place to Charter a Boat and Get some great trophy fish. Captain Asley’s Water-sports offers some great scuba and snorkeling. Tropicana Tours offers tours of the Island makes it easy for everyone who wants to know the island.